Theory: 9 a 14 hs. 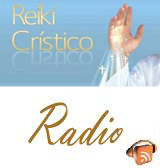 The formation of Reikistas Christic is the acquisition of knowledge, skills and attitudes. After school is a practical evaluation and theoretical determinative of approval or disapproval of the seminarian. If you pass the level you have completed the evaluation is seated in the minute book, signed under a notary public, the International Study Group Mystic, department seminars. And receive a Diploma of GICEM own training, but has no official academic validity, it is perfectly acceptable in the workplace because it ensures a serious and rigorous training in the context of health care, to be classified as a spiritual therapy, which helps to relax. They can not make the seminar, people with pacemakers or epilepsy. He has to attend the Seminar in comfortable clothes, preferably cotton, not synthetic. The day before the seminar and during it, FOOD VERY SHOOTING: fruits, vegetables, meat and not much liquid, or heavy meals.